We all know that our wildlife is disappearing and natural habitats are fewer and farther between than ever, but there are several problems with the current approach to solving the problems. The first problem, and it’s a biggie, is the ‘shifting baseline’, where successive generations have a different view of what’s normal. In practice, this means that those of us who are over 50 can remember when there was much more wildlife around than there is today, but the youngest generation thinks that what we have now is ‘normal’. Another problem is that people seem unable to think and put the evidence together for themselves. It amazes me how few people of my age and older, including professional ecologists and conservationists, have actually thought about the vast reduction in abundance of insects since we were children. Often, it’s not until I remind them of how many hundreds of insects were splattered across our cars on even a short drive 40+ years ago, that they fully realise how few insects are around these days. Of course, without the insects we lose the birds and other animals that feed on those insects and then the animals that would feed on them, etc. The result is a steadily depleted landscape, becoming more and more impoverished as time goes on, but we still reckon we can ‘save biodiversity’. We can’t, simply because in most of the UK, and Europe, there is no ‘biodiversity’ left to save. The only way to have biodiversity again is from the ground up, with landscape-scale habitat and ecosystem restoration or recreation. How is this being done? In most of the country, it’s not. Management of the countryside is still being done the way we’ve been doing it for the past 40-50 years, but steadily more intensively. Even on nature reserves, which are small and isolated islands amongst the devastation that can’t hope to stem the tide of loss, or even maintain their current populations of species, management is largely along the same lines it’s always been. Woodlands are maintained as closed-canopy habitats, with all large herbivores excluded, so they’re dark and steadily losing what biodiversity they may once have had. Meadows and grasslands on nature reserves are, for the most part, managed well but they are few and far between and animals find it difficult to find and colonise them. Many of our rare species are now associated with habitats to which they’ve retreated because their preferred habitats no longer exist, but we think of them as ‘requiring’ these suboptimal habitats. Typical examples are the association of nightingales and purple emperors with mature woodland, when this is not their favoured habitat. Another example is red squirrels, which many people believe can only survive in conifer forest. They’ve retreated there in the face of grey squirrel competition, but will happily live in any kind of woodland in the absence of grey squirrels. Many other species have also retreated to suboptimal habitat and we need to know what their preferred habitats are before we have any hope of conserving them. 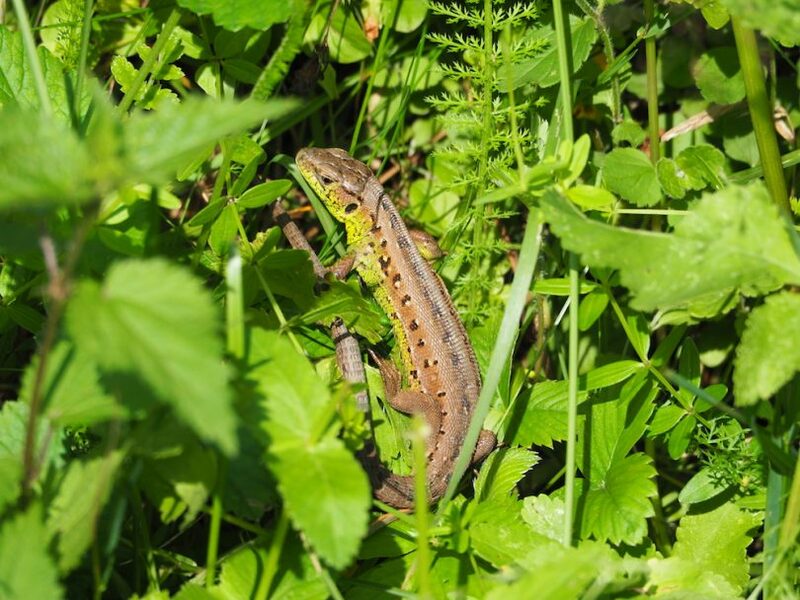 We also need to start managing habitats such as woodland in a different way; a way that attempts to mirror what used to happen hundreds of years ago when large herbivores created rides and glades where butterflies and reptiles could bask and feed in the sun. Where woodlands are large enough, we could just introduce some large herbivores and let them get on with it, but in smaller woodlands that’s not a simple option. We could, however, allow large herbivores in for a short time each year to do their stuff, even in small woodlands. There is a category of habitat that’s virtually gone from much of the landscape of the UK and that’s the ‘edge’ habitats: the bits of rough grassland, the bramble patches, the scrubby areas. Most people still consider scrub to be a bad thing, a thing to be cut back, pulled out and got rid of, but it’s actually one of the most valuable habitats we have and a multitude of species depend on it. Nightingales, purple emperors, red-backed shrikes, reptiles, small mammals and many other species thrive in scrubby habitats, so is it any wonder that we’re losing these species? The biggest problem, as I see it, is that most people have never seen an environment that approximates what the UK would have been like 200 years ago, so how can they possibly understand how to recreate it to bring back the species we’ve lost and are still losing? From my own experience, I can say that reading books and watching nature programmes cannot give us the knowledge we need to restore and recreate the natural habitats of the UK. Until I saw for myself a biodiverse habitat that contains species we’re familiar with plus species we’ve lost, I couldn’t possibly have known what was needed to bring those species back to their previous abundance. As an ecologist myself, I thought I understood the importance of beavers in the landscape, their value as a ‘keystone’ species and their effects on other species and habitats. I didn’t, until I saw what they actually do, for myself, in a landscape very similar to what the UK might have been like 200 years ago. Then I understood, not only the value of the beavers, but also how much I didn’t know, simply because I had nothing to base my knowledge on, other than vague memories of wildlife in my childhood around 40 (ish) years ago. 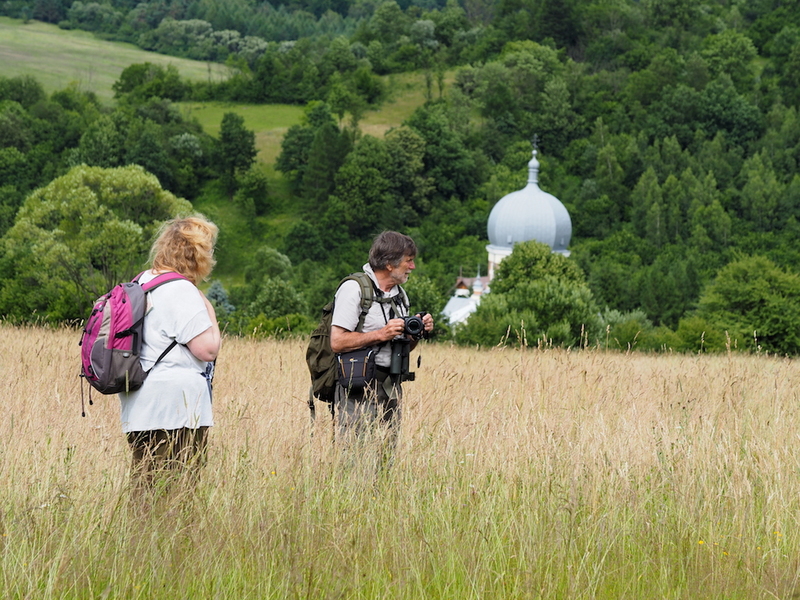 This is why I take people to my ‘secret corner’ of Poland, to see what a biodiverse landscape looks like, feels like, sounds like, smells like. I do it to experience the amazement on the faces of seasoned ecologists and conservationists who are stunned at the numbers and abundance of species, many of which they’re familiar with, if only from childhood memories, but many of which they’ve rarely or never seen before, because we’ve lost them in the UK. 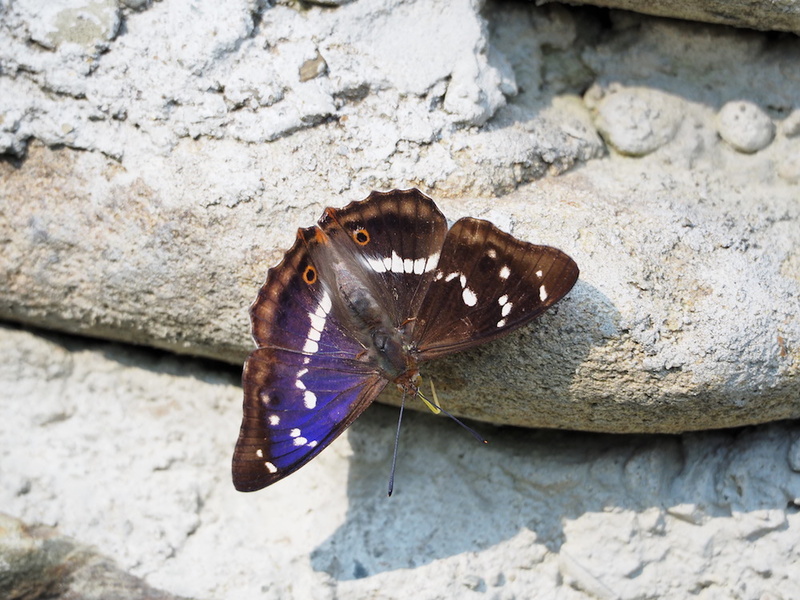 I do it to show people that we don’t see purple emperors in the forest, but we do see dozens of them along the paths and roads and around the meadows, most of which are near to the streams and rivers where willows grow – the food-plant for their caterpillars. I do it to show people the abundant red-backed shrikes and the habitats they frequent and the species they hunt. Habitats we could recreate to attract the shrikes back as a UK breeding bird. I do it to show people the habitats where the corncrakes are common and we’re rewarded by hearing them calling, sometimes all night. I even managed to see one last year! I do it to show people what beavers actually do to the landscape and the benefits to a wide range of other species, from fish and insects in the water to birds, reptiles and mammals that use their ponds, canals and the habitats in between to hunt or hide. Simply put, I do it because I love to be there and I know that unless people see what a biodiverse landscape, comparable to what the UK landscape once was, actually looks like, we can’t hope to know what we need to do to get our wildlife back. We can’t know the habitats that are needed for those declining and missing species we love so much, so we can’t do what’s necessary to bring them back. If we don’t know what we don’t know, the declines will continue, the landscapes will become more and more impoverished and we’ll all be left the poorer.